In 1985 Boone started the Bird revolution. Today, the Boone Birds continue to raise fish and help their Captains Win Tournaments through out the World. 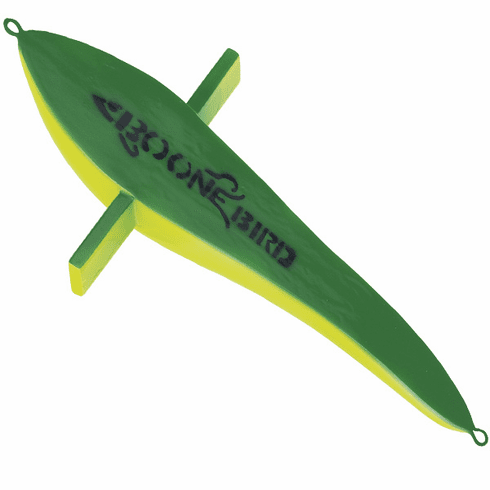 BOONE BIRD™ Constructed of urethane foam to prevent absorbing water. A stainless steel thru-wire construction is employed for added strength. The Boone Bird™ should be attached to the snap swivel on your double line with the eye of the leader on the lure attached to the rear of the Bird. 9 1/2" long.